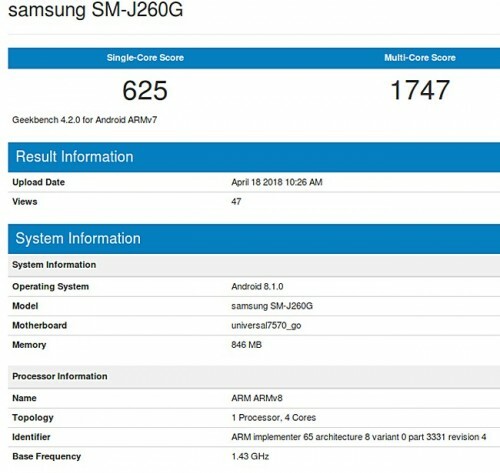 A few weeks back, a new entry-level Samsung device with model number SM-J260G surfaced on a Geekbench, showing a quad-core CPU and 1GB of RAM but with Android 8.1 Oreo pre-installed. This could mean only one thing - the handset runs the slimmed-down version of the OS, dubbed Android Go. As it turns out, the device will most probably carry the Samsung J2 Core name and the most recent report claims that the device is going to hit four markets - India, Nepal, Bangladesh and Sri Lanka. These are all countries with a high share of budget-oriented phones.